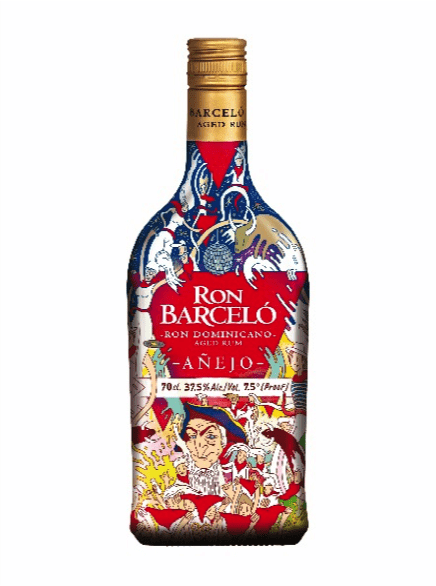 Ron Barceló presents its new limited edition dedicated to San Fermin festival, which takes place in Pamplona from 6th to 15th of July. This is one of the most known worldwide Spanish celebrations and identified by the brand with his attitude “Vive Ahora” -Live Now- consisting in viewing life positively, getting the most out of life and living moments of joy. 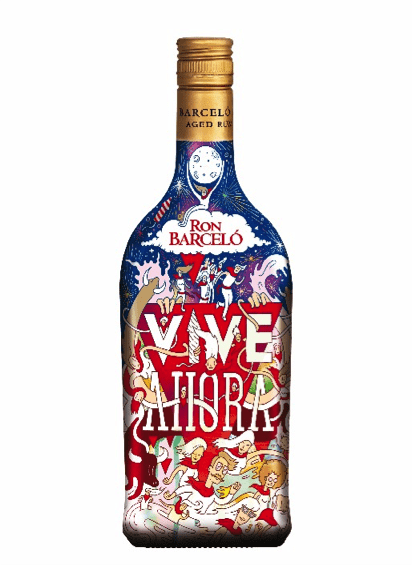 To this end, Ron Barceló has created with the artist Eduardo Bertone, a limited edition inspired by this festival and reinterprets the most symbolic icons enveloped in a world overflowing with joy and full of surprises. Both the front and the back of the bottle recognize elements such as runners, closures, comparsas, giants and big heads, bulls or the famous Txupinazo. In addition, the artist devotes the entire top of the bottle to recreate the evening party, while at the bottom daytime enjoy this festival represented. Ron Barcelo and Eduardo Bertone worked during these months to translate into the new bottle that spirit that transmit the San Fermin festival, in which the tradition of some festivities that are rooted in the Middle Ages meet. In fact, the announcer Txupinazo did not start as we know it today until 1941. And the closure, although much older, single runs along the popular Estafeta street since 1856. Customs that should be known and, as far as possible, continue to live nine days of real joy. Eduardo Bertone is an illustrator with a great international career. He began working as a creative activity that has always run in parallel with different artistic projects showing his personal work in exhibitions, books and magazines around the world. Bertone is an energic creative, that projects using different means to present colourful imaginary worlds. In his own words, his work can be defined as spontaneous, abrupt, colorful, humanist and absurd. The special edition will soon be present in the usual outlets.